Left to right, founders of Nanoleaf, Watrhub and Wealthsimple - Canadians returning from abroad to Toronto to do their next startup. In 48 hours I met three experienced founders who chose to do their next startup in… Toronto. Huh? These were not just any founders. They were Canadians who moved out to find success abroad in places like Seattle and Silicon Valley. It’s a well-beaten path. Take Anish Acharya, a Startup Grind Toronto guest, and his experience with Socialdeck. After living hand to mouth for years in Toronto to finally get the gaming startup flying, Google offered to buy Socialdeck. Acharya moved to San Francisco, first as a Google product manager, now as a partner in Google Ventures. Acharya is one of 350,000 expat Canadians living in the Bay Area. You could say it’s one of Canada’s 20 biggest cities. Most market verticals in Canada are too small to finance organic growth to global scale. You must go global while a company is still in its infancy, a large, risky investment. In the past, local VCs have been uncomfortable with this risk profile. That was then, this is now. And entrepreneurs see opportunities where others don’t. Has something changed in the past five years to make these founders bet that Toronto is the place to be? Solution: a fintech cloud service that provides wealth management. Total addressable market:$60 trillion-plus; Canada, $3.5 trillion. Funding: In 2014 Katchen raised a $1.9 million seed round in two weeks and in April 2015 closed a $30 million dollar A round – all from local Canadian investors. Founder’s background: management consulting (McKinsey), another startup. Katchen’s first startup was 1,000Memories. Its ShoeBox mobile app provided the fastest way to scan old paper photos with your iPhone or Android device and created a new way to tell stories of people’s lives. 28 months after exiting Y Combnator with a $3 million seed round, Ancestry.com acquired 1,000Memories. Competitive advantage: the tech-based solution for investment that millennials want in a $3.5 trillion market — Canada — that gets the startup to global scale without the downsides of New York, Silicon Valley or London. Ahmed Badruddin and Sunit Mohindroo, co-founders, Watrhub. Solution: data and analytics for the global water industry. Total addressable market: $5 billion. Funding: angel round; accelerators – SURGE (Dallas), MaRS (Toronto) and Imagine H2O (Silicon Valley-Milwaukee). Founders’ background: software development (Microsoft Windows 7 & 8, Badruddin); hardware development and program management (Apple iPod/Microsoft Xbox, Mohindroo). Watrhub is Badruddin and Mohindroo’s second startup; their first, Simpleafy, helped utilities and homeowners make better decisions about power conservation. Competitive advantage: the “Bloomberg terminal” of water. Bloomberg terminals take reams of public info and make the patterns in it easy to find for investors. For companies that make water management products Watrhub converts the terrabytes of water consumption data that public utilities generate into easy-to-grasp data for product, market and sales planning. Total addressable market: $148 billion. Funding: two Kickstarter campaigns plus a venture capital round taken up by Horizons Ventures (Hong Kong) and Kleiner Perkins (Silicon Valley). Founders’ background: management consulting (Accenture, Chu); product development (Excellent Hong Kong, Yan); molecular simulation (Zymeworks, Rodinger). Competitive advantage: Nanoleaf’s LED bulb provides the same brightness as incandescent bulbs, but use 80 per cent less power. Wealth management, water, light bulbs… these founders are active in three very different industries. Yet, Badruddin, Chu and Katchen see similar changes in the ecosystem. There are now alternatives to local VCs. None of these founders went the traditional VC route this time around. Non-VC venture capital. 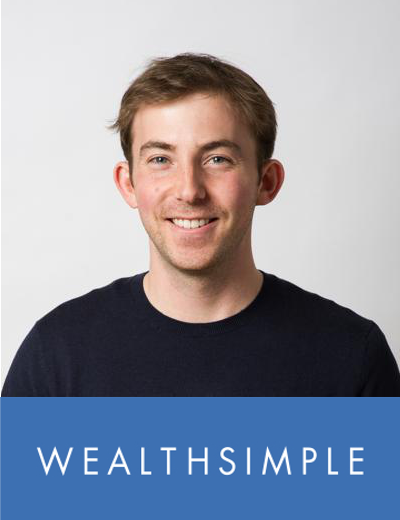 Wealthsimple’s A round was funded by the venture arm of a financial services company – not a VC. In the past Toronto deals were slow to come together and amounts raised were less than what’s on offer south of the border. The size of both Wealthsimple’s angel and A rounds is competitive with typical deals in the Valley, and so is the deal velocity. Crowdfunding. Nanoleaf used two Kickstarter campaigns to get off the launch pad. Crowdfunding has closed a gaping chasm in funding for hardware startups. The eye-watering returns from software startups attracted the lion’s share of investment and left hardware startups starving for growth capital. That forced founders to self-finance product development and customer validation, a huge expense. Crowdfunding reduces the burden of product development funding and validates market demand. Instead of begging dollars for unproven ideas, founders with a successful Kickstarter say to VCs “product development is finished, the market is validated and we just need money to scale.” And that transforms the conversation between startups and VCs in other ways. 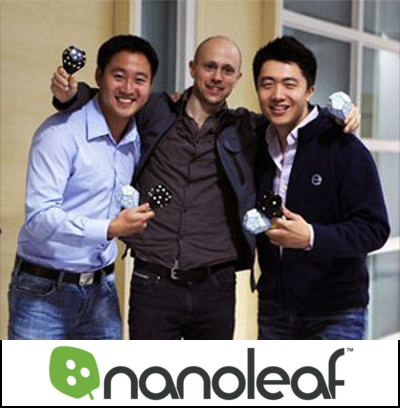 As reported by UofT News, Kickstarter brought Nanoleaf to the attention of Emily Pimblett of University of Toronto’s advancement team, who recognized Christian Yan as a former classmate. As a result, news of Nanoleaf made it to the ears of UofT president Meric Gertler. On his next visit to China, Gertler met with Horizons Ventures, the VC fund co-founded by Li Ka Shing and Solina Chau. Perhaps Hong Kong-based Horizons might be interested in Nanoleaf? Its manufacturing facility in Shenzhen China, is next door to Hong Kong. Gertler gave the Horizons folks a sample Nanoleaf bulb. The next day, UofT called Chu. Chau herself wanted to meet with Nanoleaf to discuss investment. Horizons Ventures brought in Kleiner Perkins. The two have co-invested in several Silicon Valley startups including Waze. The two VC funds have invested together in Toronto-area startup Fixmo. Horizons Ventures also invested in another Toronto startup: Rubikloud. Incu-celerators. The success of Paul Graham’s Y Combinator has spawned many imitators. Organizations that incubate with advice and accelerate with seed capital. Although Chu wonders that it may now be almost too easy to launch a startup, he does say that the MaRS Cleantech Group was a huge help. MaRS is just one of over 100 incu-celerators in the Toronto area. For Badruddin and Mohindroo incu-celerators helped to boost Watrhub off the launch pad. The two founders tapped the cash and in-kind resources of three different incu-celerators – SURGE, based in Dallas, MaRS in Toronto, and the other – irony fans take note – is Imagine H20, headquartered in Silicon Valley with partners in several other US cities. Chu and company are making their bulbs in China; they were advised to set up product development in the Bay Area. Nanoleaf’s founders argued Toronto was the better choice. “There’s a misconception that people in the Valley are smarter,” says Chu. Both Chu and Badruddin note that Bay Area companies recruit heavily for talent from Toronto-area universities. The logical conclusion: talent here is the best there is. Instead of a melting pot, a cultural mosaic. 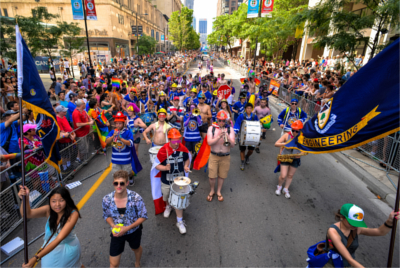 University of Toronto engineers march in the city’s Pride Parade. It seems Horizons Ventures and Kleiner Perkins agree; Nanoleaf’s product development team is now growing fast in Toronto. This is a huge change. In two startups I worked on, and many others I know of, it was impossible to convince key people to move north. It cripples early-stage companies, to split the team when it is figuring out product definition and how to acquire customers. For Nanoleaf, and companies like it that sell product, retail presence was everything but not any more. The interweb and the cloud services it enables provide marketing reach that’s competitive with multinationals but at a cost of pennies a day. You still spend a lot of time and money on travel. But you’re on the road to close deals instead of building awareness. For Watrhub, and companies like it that are creating the new cleantech vertical of big data analytics, it’s a revolution. Cleantech in the past was all about selling unproven hardware to ultra-conservative and very slow moving utilities. To get a toe in the door startups had to beg help from the existing big suppliers. Their distribution channel and brand was critical for startups. 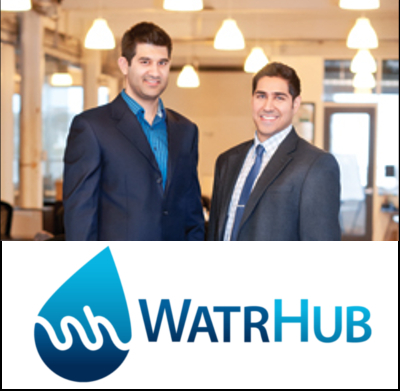 Now Watrhub is selling market intelligence about those utilities to the cleantech supply chain. Instead of a tactical expense, Watrhub is providing strategic value that drives revenue. 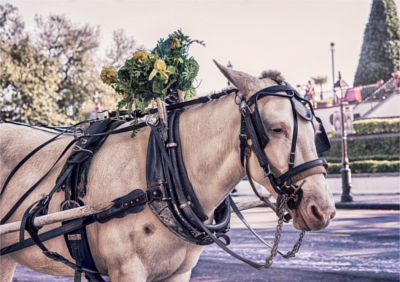 Do cart horses dream of electric thoroughbreds? Wealthsimple’s market has always been there but demographics trends are turning it upside down. Instead of baby boomers who like the familiarity of a human contact and the perceived security of a big bank, millennials put their faith in tech. Millenials have a very low tolerance for poor service and high service charges. Millenials are also going to wind up managing their parents’ and grandparents’ money.